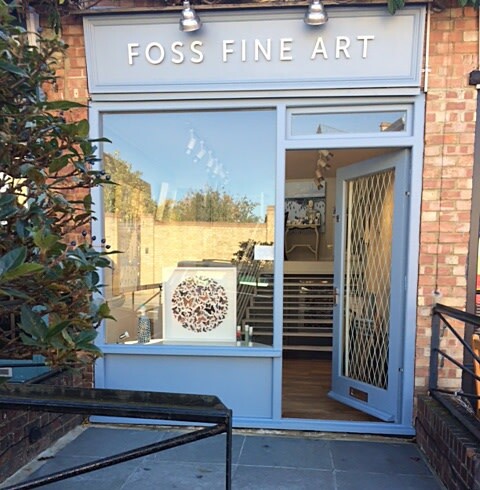 Established in 2001, Foss Fine Art is an intimate art gallery off Northcote Road in Battersea, SW11. Specialising in Contemporary British Fine Art we have a strong commitment to promoting emerging and mid-career artists working within the Modern British Tradition whose emphasis on the narrative encourages the imagination and challenges the viewer’s perception. Artists include: Sir Peter Blake, Jeremy Gardiner, Catherine Hyde, Elisabeth Lecourt, Paul Robinson, Nichola Rose, Debra Royston, Devi Singh, and Nicholas Turner RWA. The Gallery also regularly exhibits Modern Master prints, amongst others, Sir Peter Blake, Sandra Blow, Bruce McLean, Barbara Rae and Contemporary Applied Art by Jane Muir and Ali Tomlin.